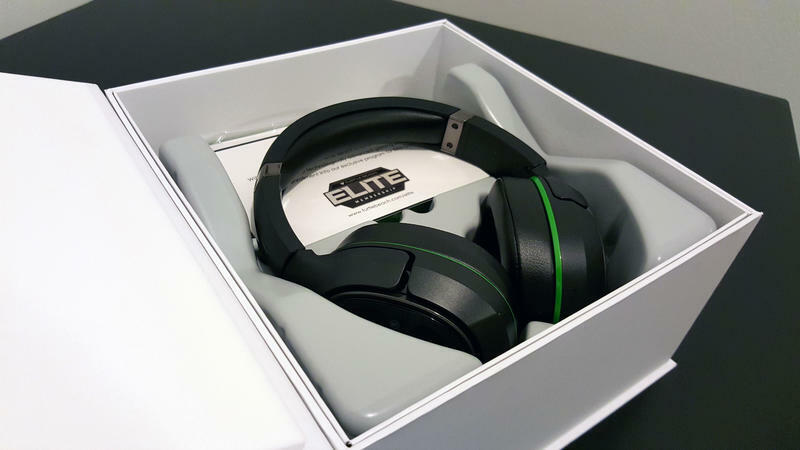 The Elite 800X gaming headset arrived on my doorstep at the worst possible time: I was neck deep in PC game reviews and about to leave for E3. Now that I've had a few weeks to play with it, I'm sad I'd had to wait so long. If you're an Xbox One gamer – a Halo player, a Forza fanatic, or getting ready for the return of Gears of War, I don't think you can do much better. If you're a multiplatform gamer, well, we'll need to talk. 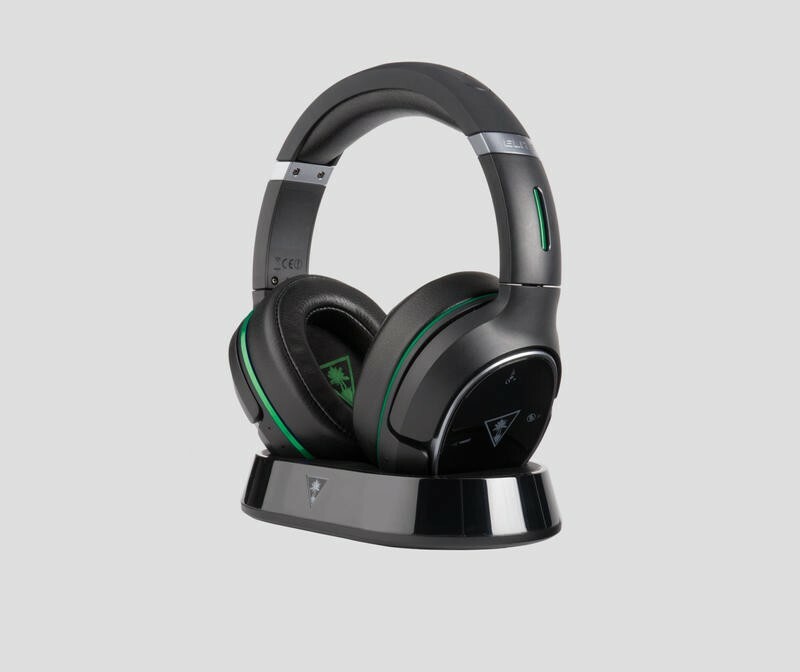 The Elite 800X, Turtle Beach's entry into the premium gaming headset market for Xbox gamers, is a fully wireless 7.1 surround sound lined with bells and whistles and priced to compete with other top of the line headsets at $300. To sell a piece of gaming hardware that isn't the console for that much, the hardware needs to be on top of its game with everything working perfectly. With the Elite 800X that's pretty much the case. 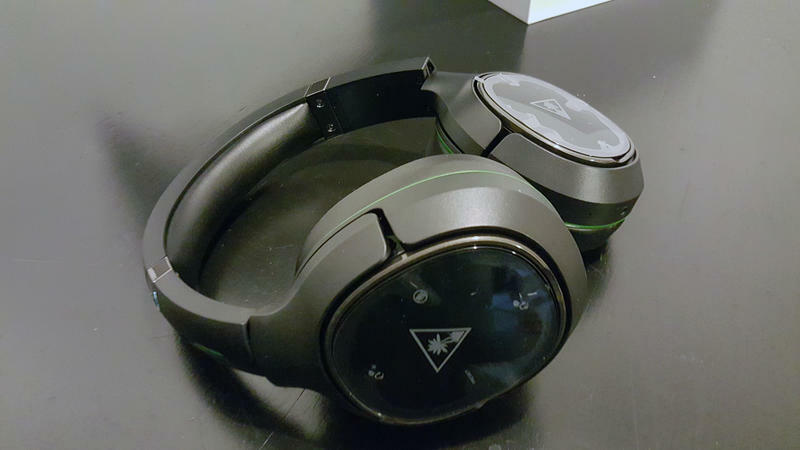 The biggest aspect that sets this headset apart from the others is that it's one of the very, very few truly wireless headsets available for the system. Most headsets require a wired connection to the controller. It's not a huge hassle, but the lack of a cord gives a nice feeling of freedom that other headsets don't allow. When some obnoxious characters are prattling on about politics for too long, or you're in the lobby between multiplayer matches, and you need some water, you can set the controller down and walk away without unplugging anything. 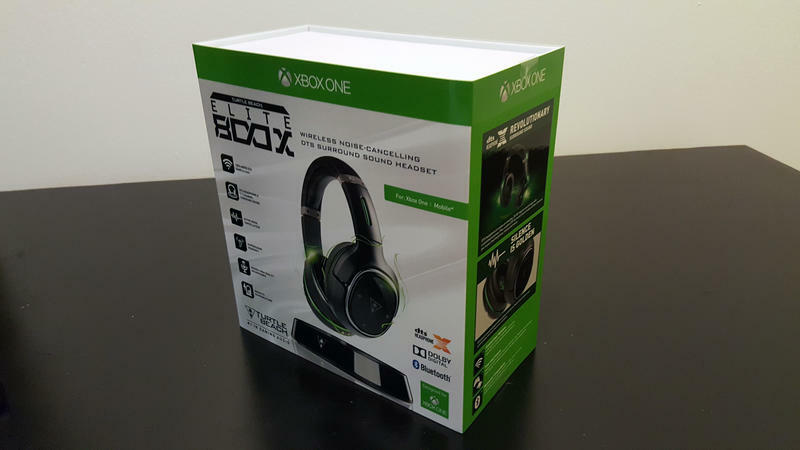 The headset itself is a good looking piece of hardware that fits well into the Xbox aesthetic and brings in the green ubiquitous to Turtle Beach's line of Xbox gear without being gaudy. Instead of smacking you in the face with bright colors, it keeps things understated. Other than a few highlights, the whole kit is jet black. The faux leather ear cups, head cushioning, and even the minor metallic bits are all black. It even looks good on the charging stand. 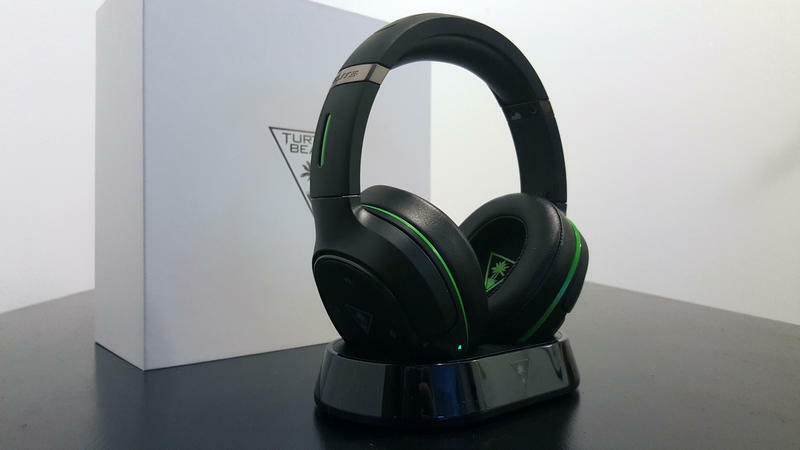 Unlike my Astro A50s, which require that I keep a USB mini cable handy, the Elite 800X has a subtle, attractive charging base that serves as its connection to the Xbox One for both audio and power and as a way to display the hardware you spent so much money on. Once I had it fully integrated into my setup, I was thrilled to see it didn't add any more to the barely-hidden cord clutter of my entertainment center. The base is also slightly magnetic, ensuring that once you put the headset in the cradle, it stays there. Once it was hooked up and on my head, it felt pretty good there, too. This is going to vary from person to person, but I had a pretty good fit out of the box and found that it only improved as I continued to break them in. The only real issue I had with the fit was the ear cups. 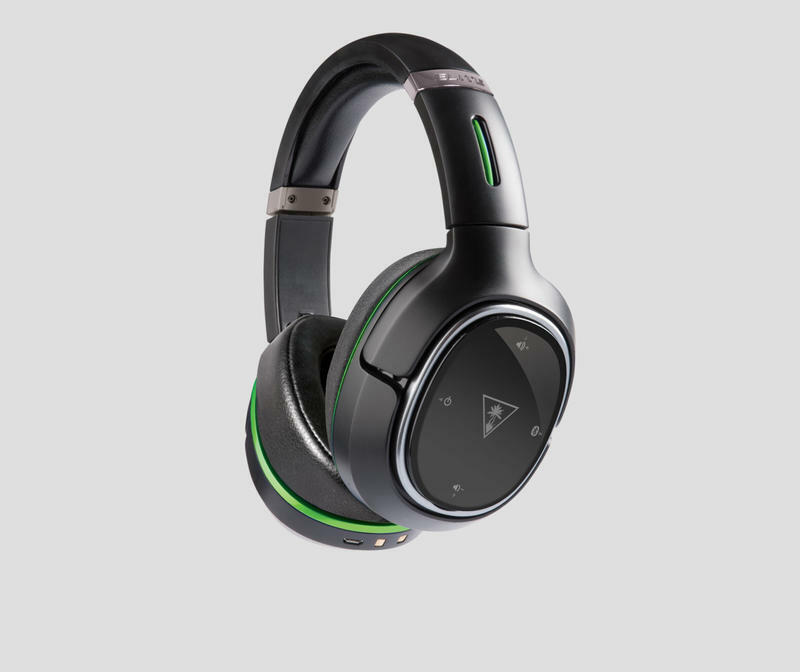 They're about the same size as the aforementioned A50s, but they're made from faux leather instead of the felted covers we see on the A50s and the mesh covers on many of Turtle Beach's other headsets. I think I would've preferred those mesh covers for long term wear and breathability, though I'm not sure how much the looser seal would've interfered with the headset's noise cancellation option – more on that in a bit. After fit, sound is the next most important part of a pair of cans. In the default Signature Sound mode, the headset sounds great. The 7.1 surround works beautifully. I can always tell just where the tiger is coming at me from right before it eviscerates me. From there we get into sound options. In this case, there are a few too many, though some of them are very useful. The presets for racing and shooting didn't make enough of a difference that I wanted to use them anymore. Then there are the Footstep Focus and Superhuman Hearing options. These do work, changing the profile of the game audio substantially. If you're skilled enough at online shooters to care about the sounds footsteps make these options will give you a leg up on the competition. Enough of a leg that I can't help but wonder if it's a bit of a cheat. 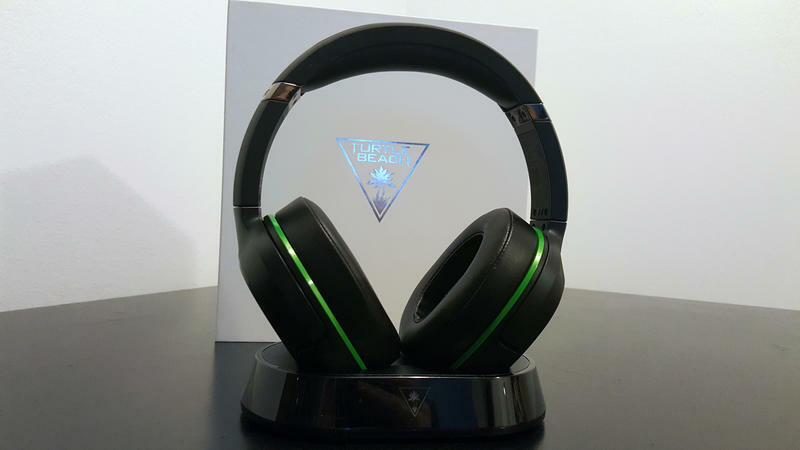 But they work, and those that pick up this headset for multiplayer gaming are definitely going to want to check them out. If you've been looking at the pictures, you've noticed that there isn't a microphone protruding anywhere. 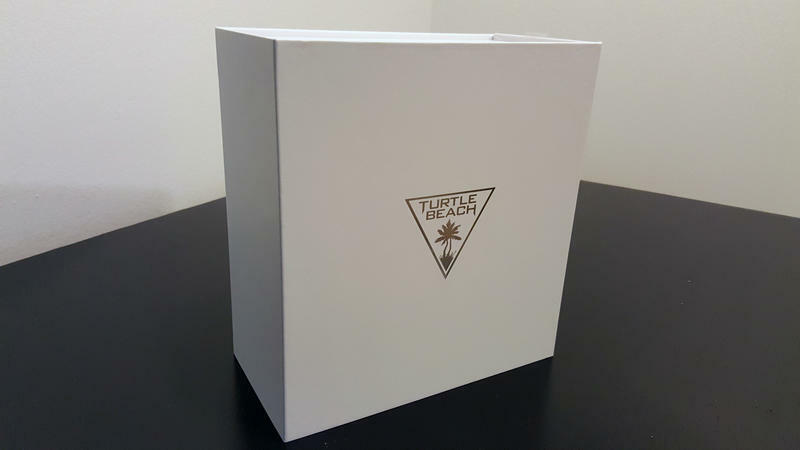 Instead of putting a wand mic on the device, Turtle Beach integrated the mic into the left side of the headset in the form of a tiny hole – not unlike what you see on many mobile phones, and placed similarly as well. The mic works well enough most of the time, and it picked up the vast majority of my speech, but the same way a cellphone shifted off to the side can make its user inaudible, this mic has the same problem. After a lot of use, I found the headset shifting and had to move things back in place. The microphone on this is never going to beat a proper headset mic, but it gets the job done and it never gets in the way. 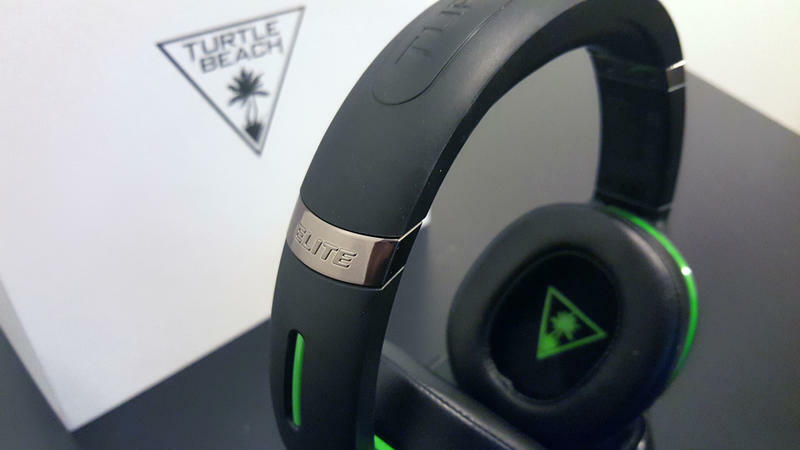 The Elite 800X has tons of little features worth exploring before you integrate it into your gaming routine. The Ear Force app, which you can download for Android, Windows, or Mac, will connect to the device via USB or Bluetooth. From there you can change a huge variety of elements on the device from simple stuff like chat and game volume to what kind of room volume it should be cancelling noise for.There are even presets available for various games that you can download and sync to the headset. One crucial element for many regular online gamers is mic monitoring, and the volume of that can be adjusted from the app as well. I've mentioned the noise cancelling and that might be one of my favorite features. It's not isolating – you can hear the outside world – but it dims quite a bit. I live next to a highway and in range of more air conditions running at full blast than I'd like, and with noise cancellation turned on, they disappear into the background. Because the headphones feature Bluetooth, it's possible to sync them to a phone at the same time as a game, meaning you can be piping in music or a podcast or even having a phone conversation while you play. The headset's biggest downfall is that it simply isn't cross-platform. It works with Xbox One or your mobile phone for chat, but that's it. For audio, it'll work with anything you can plug an optical cable into, so it's not a total loss, but with my A50s already working on every piece of gaming hardware I own for both audio and chat, it feels like a huge missing feature. It is worth noting that if your PC has bluetooth, you can use the headset for chat through that, but that's hardly universal. 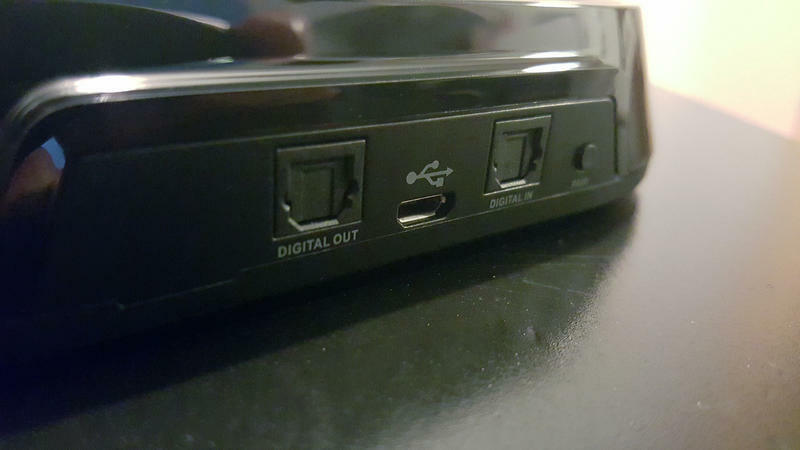 Because it requires the optical port to transmit audio, it also won't work for, say, plugging into your laptop for audio. Again, this isn't a deal breaker, but with that price tag every little miss feels that much bigger. The headset also does have more substantial hiss than the other audio devices I use, but I didn't notice it once I was playing. 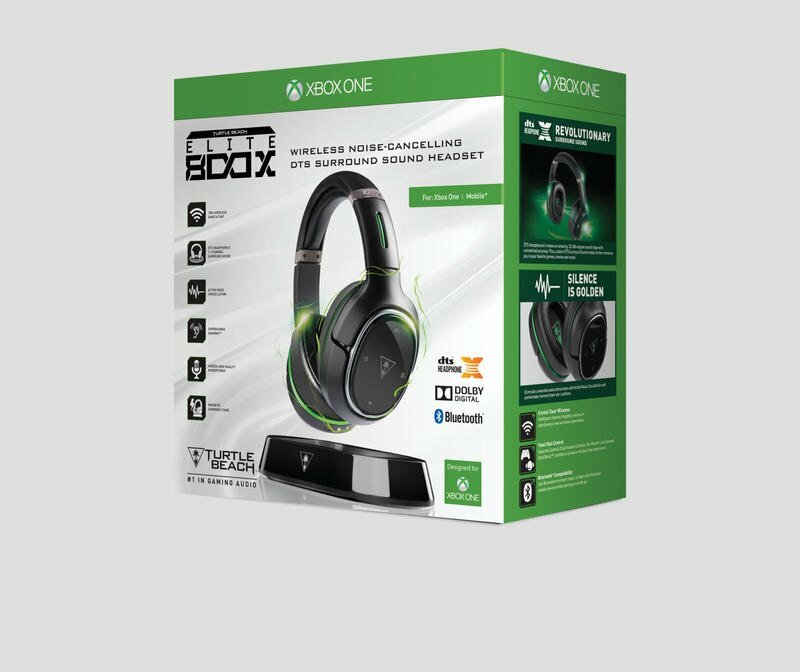 If you're an Xbox gamer and plan to stay that way for a while to come, these headphones are a solid option. 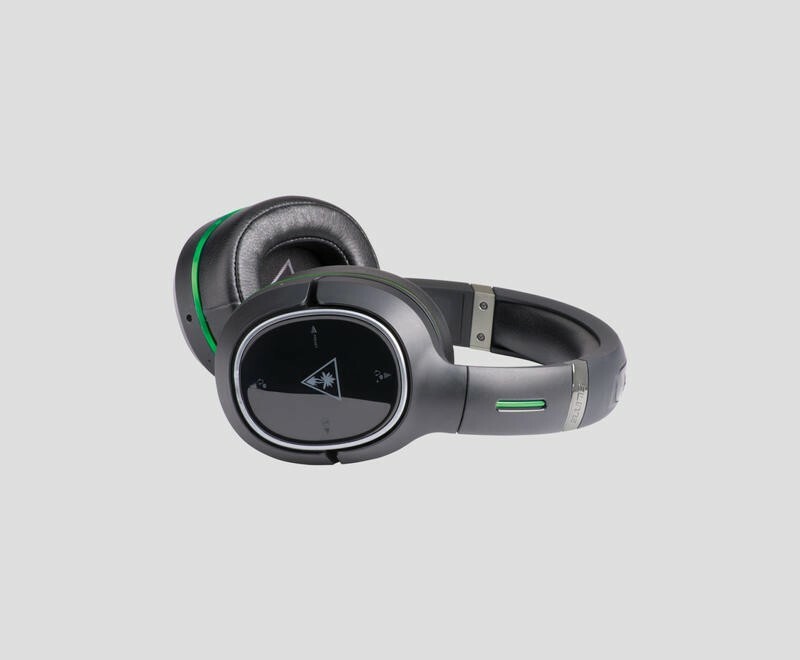 Something like the Astro A50s will provide more greater compatibility, but without many of the features – different sound profiles, noise cancellation, Bluetooth, wireless chat. The sound and feel of the hardware, though, are on par with the best offerings in the premium headset category. 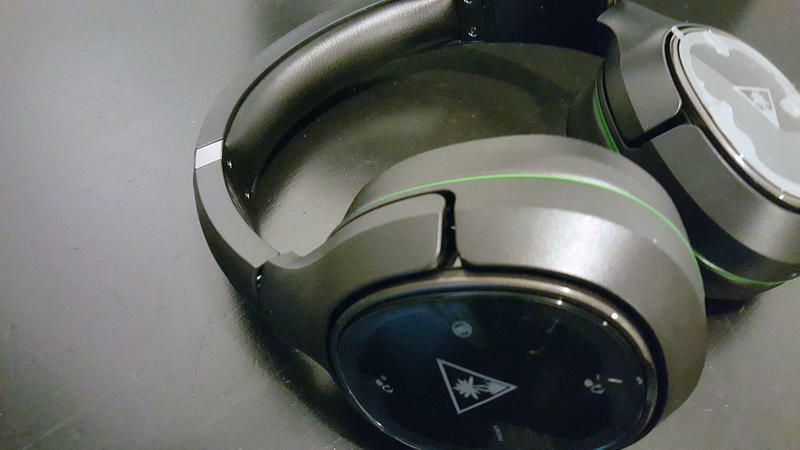 We received a review unit from Turtle Beach and spent 30-plus hours with the headphones before writing this review.